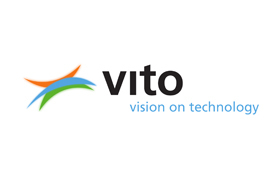 VITO (Flemish Institute for Technological Research) is a leading European independent research and consultancy centre in the areas of cleantech, sustainable development and remote sensing. VITO’s main goal is to execute innovative research and provide a comprehensive range of scientific services in order to stimulate sustainable development. VITO focusses its research in 5 areas of expertise, ‘Sustainable Chemistry’, ‘Energy’, ‘Health’, ‘Materials Management’ and ‘Land Use’, all extremely important in the quickly evolving and changing society that we live in today. VITO’s Remote Sensing research unit contributes to VITO’s main research topic ‘Land Use’. With approximately 80 employees the unit is constantly developing state-of-the-art multi- and hyperspectral earth observation system and improving its scientific support to enable end-users to collect, access and use reliable geo-information, hereby supporting sustainable land management. VITO supplies innovative and high-quality solutions, whereby large and small companies can gain a competitive advantage, and advises industry and governments on determining their policy for the future. VITO has more than 750 highly-qualified employees from various specialisms and collaborates with sector federations and their research centres, universities and other European research institutes. In 2014 VITO has a total budget of about 135 million euros.